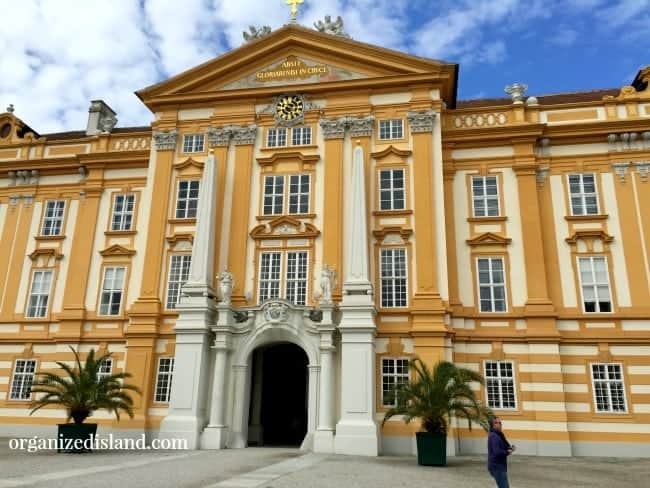 A visit to the Melk Abbey is a lovely, magical way to spend the day. Located between Satlzburg and Vienna in Austria in the Wauchau Valley, it is often been known as one of the best places to visit in Austria. 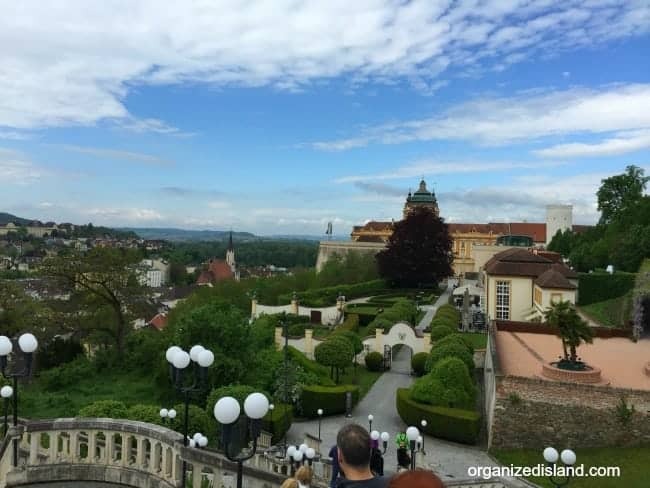 On a recent visit to Austria, we took a day trip by bus to Melk. It was a beautiful day and the views were quite picturesque. The Melk Abbey sits high on a hilltop overlooking the beautiful Wachau Valley in Austria. Easily accessible by train or car from Vienna, this almost storybook scene is a wonderful place to spend a day. The Benedictine Abbey was founded in 1089 and became a monastery and became an educational center in the 12th century. It still maintains a monastery and also functions as a high school. 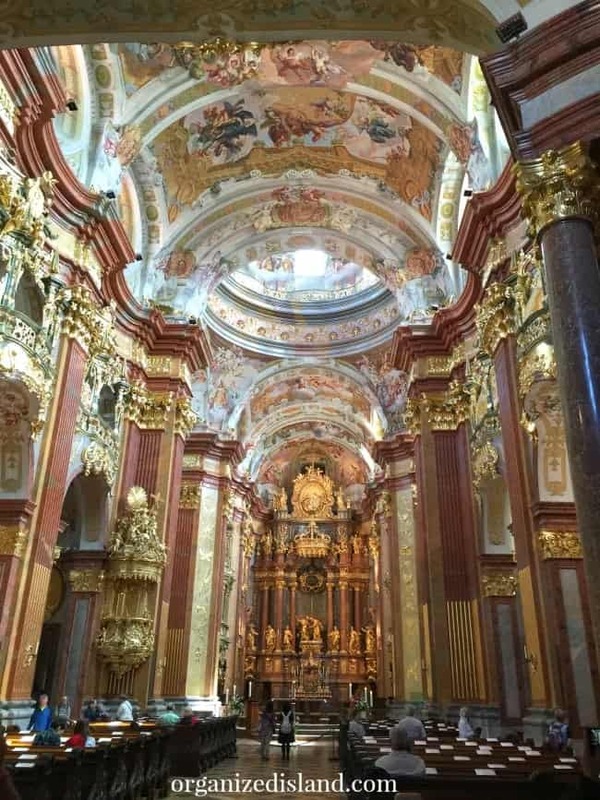 The abbey church is a pristine and marvelous place that is decorated in Baroque fashion. Donned with frescos and sculptures that are stunning and more examples of the stunning splendor that is found nearly everywhere in Austria. One of the most stunning areas, is the Melk Abbey Library. Filled with manuscripts and books of varying subjects, some of these are over 500 years old, We were not allowed to take photos inside of the library, but trust me, it is a truly wondrous place to visit. 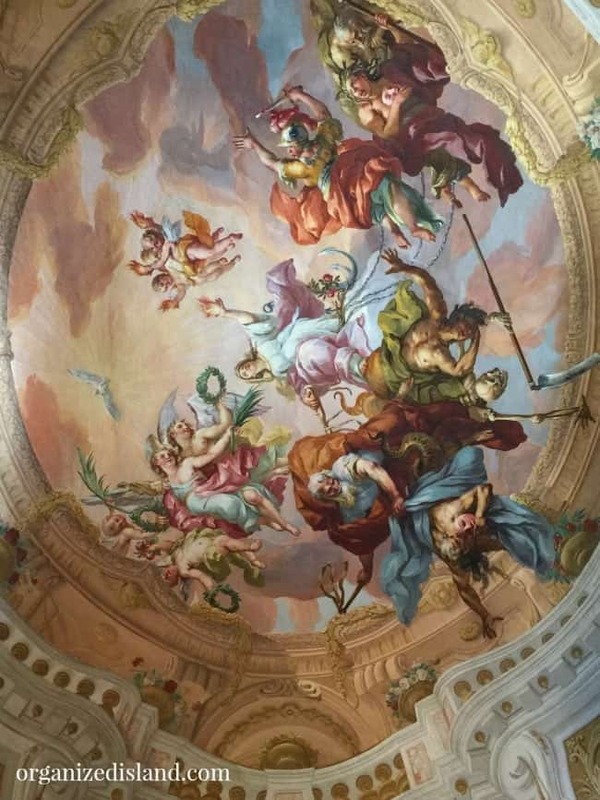 The only thing that matches the enchanting history behind the ancient manuscripts and the walls of the library, are the beautiful frescos on the ceiling and sculptures, like this one, which represents the different areas of study, law, medicine, philosophy and theology. The views from outside the Abbey are just as stunning. I felt an amazing sense of peace and contentedness just taking it all in. 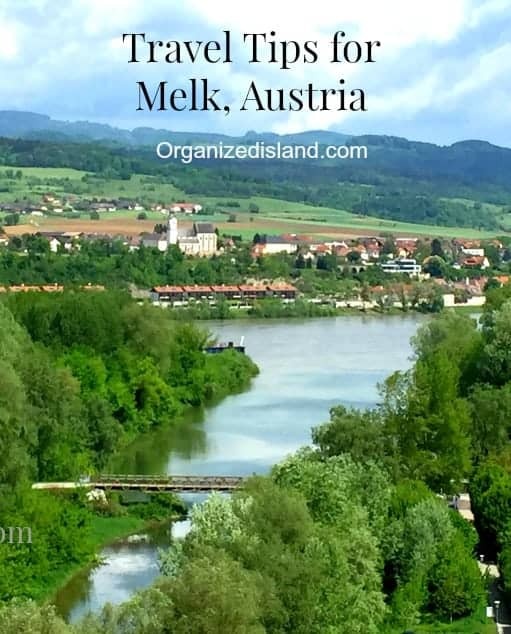 A 10 minute walk from the Melk Abbey is the town of Melk. 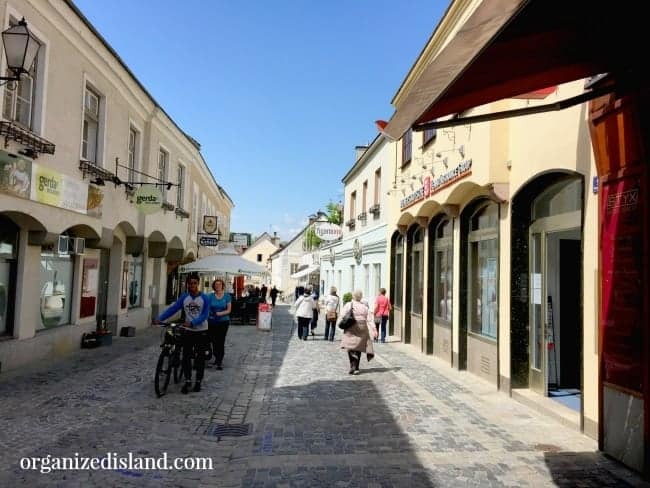 The town is so quaint, it is like being in a story book. 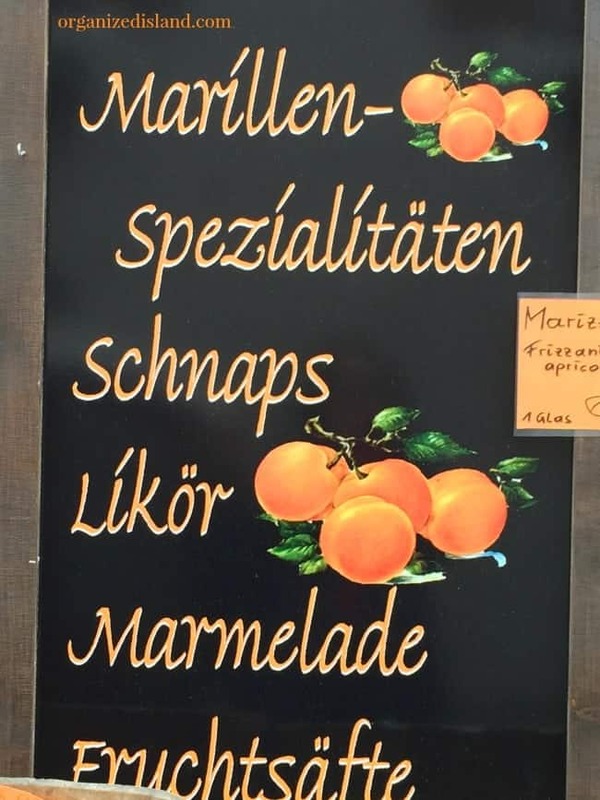 The Wachau Valley is famous for apricots and is in fact know as “the valley of the apricots”. Here you will find many local culinary delights made with apricots. We took some time to walk around the town. 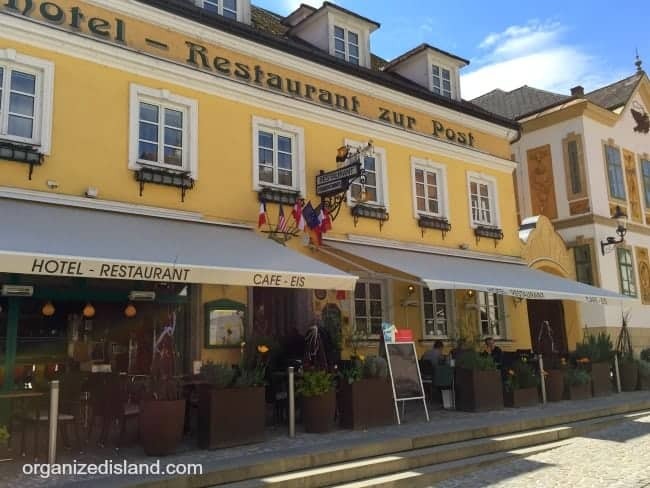 We sampled some lovely local Austrian wines had a wonderful lunch at the Hotel Restaurant Zur Post. 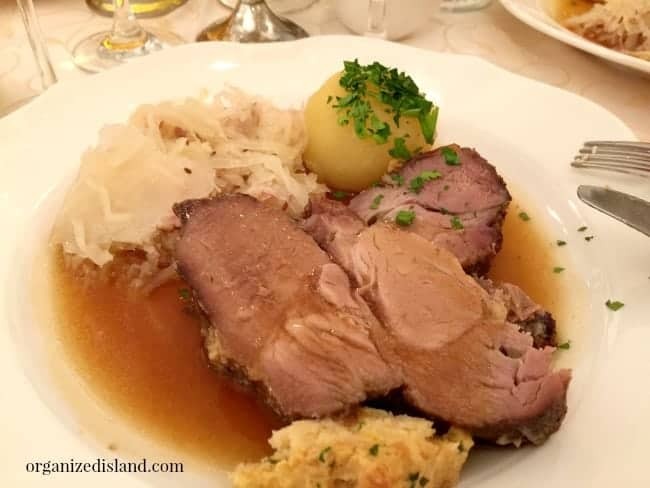 We had the Gekochter Tafelspitz mit Apfelkren, Boiled filet of beef with apple horseradish, chives cream, and roasted potatoes. 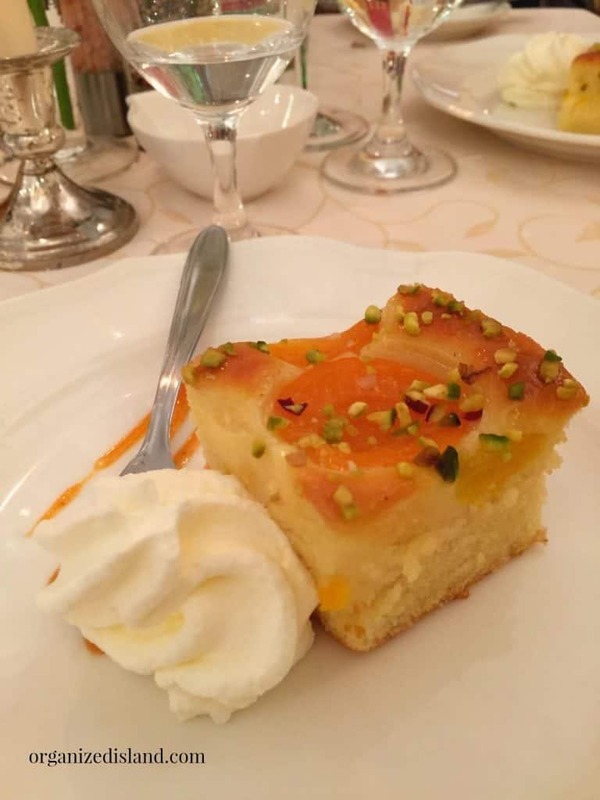 For dessert I had a wonderful apricot cake with whipped Bavarian cream. There are some lovely places to shop in the town. 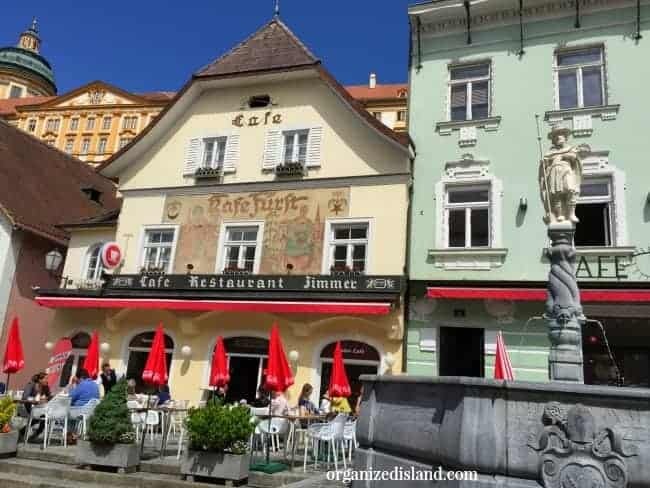 A lovely place to visit and my recommendation if you happen to visit Austria. 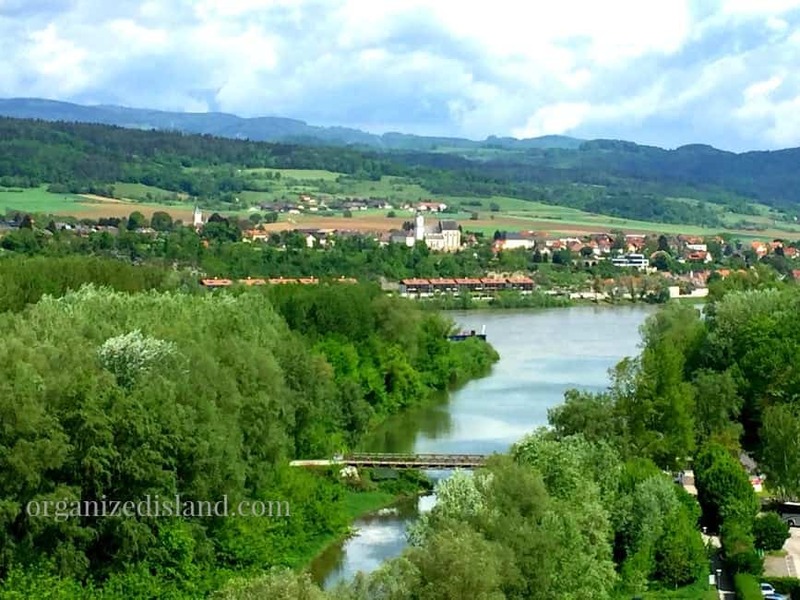 Melk is accessible by car, train or via the Danube boat cruise and cruise ship. 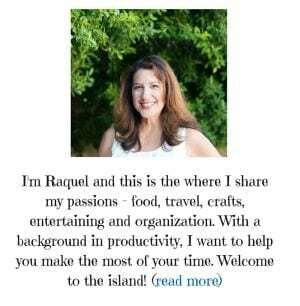 Allow time to visit the quaint town and enjoy a meal. Do not forget your camera, the Abbey is gorgeous and while you cannot take photos in the library, you can in other areas and the views overlooking the Danube from the abbey are breathtaking. There are lovely gardens on the premise as well. Allow a few hours to take in the Abbey and town. What a beautiful abbey! That ceiling is stunning! It was amazing Ashley! In the library, the gilded books go from floor to ceiling. That looks like a storybook, the food included. I think the abbey is my photography calling!! I could see you taking beautiful photos there Tamara! Everything there is stunning! I just want to be sitting at that little cafe right now. How lovely!